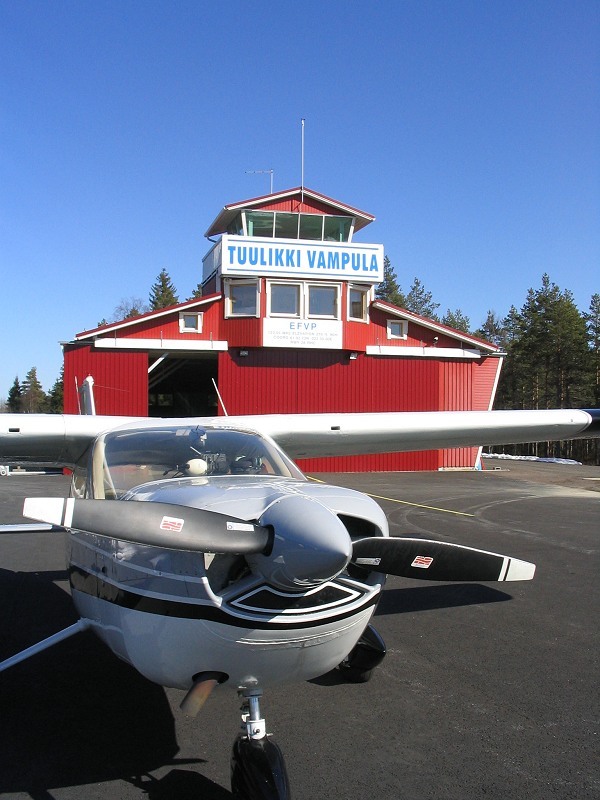 A private airfield in excellent condition, created in Vampula, Huittinen, in 2001. Due to the recent construction the field is in very good condition, and it offers excellent installations: the field encompasses a machine shop, a log villa, a sauna, and a man-made pond for swimming. 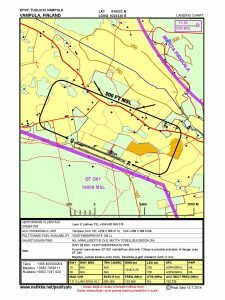 On the south side the field borders on the military reserve area D61, therefore right hand landing approach to runway 28 is required. 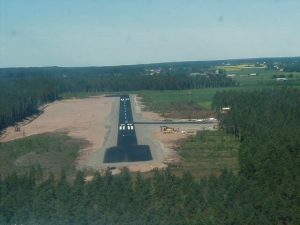 The runway was extended in 2006. Runway lights for night operations were installed in 2010. There is a 100LL fuel tank in the field, maintained by Leevi K. Laitinen. Operation is automatic 24h. 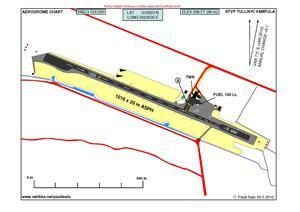 The runway and all other installations are in excellent condition. 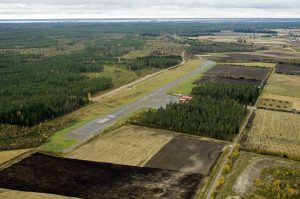 The trees at the eastern end of the runway were cut down when the runway was extended. Ample widenings at both ends. Fuel availability: LL100 fuel tank 20t.lt. Automatic operation 24h. Maintenance Leevi K. Laitinen Phone +358 400 506075. Airport chief: Mr. Leevi K. Laitinen +358 400 50 60 75. Aerial view of the airport in autumn 2012. Photo Leevi K. Laitinen. 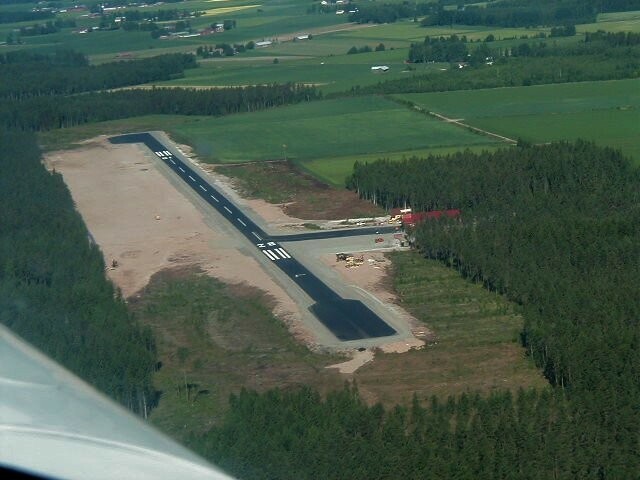 Vampula airport aerial view when the construction work was still ongoing in 2001. Photo by Matti Hohtola. Landing on runway 28 in 2001. Photo by Matti Hohtola. 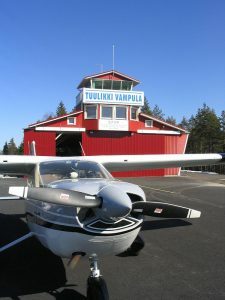 Vampula airport building behind the Cessna. Photo Antti Karttunen.